What causes a pool to leak? 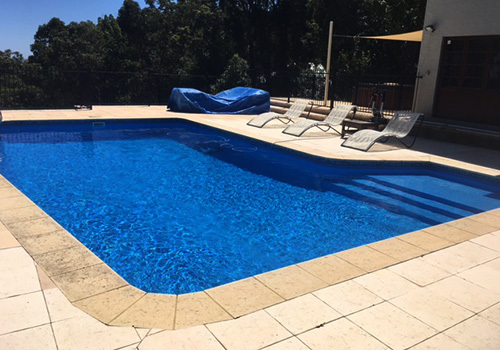 Simply – hard pool shells are not built to withstand ground movement. Traditional finishes such as concrete will crack, whereas a vinyl pool liner will flex and bounce back to its original position. How do I know if I have a pool leak? Pool leak detection is not always straight forward. It can be very difficult to detect and your first tip off could be water damage appearing somewhere or a big hike in your water bill. What do I do if I suspect I have a pool leak? The longer you leave a leak the more damage it can do to the structure of your pool, as well as water damage to the surrounding area. Call a pool leak detection expert, such as Oceanic Pools, to detect and repair the leak before more damage is done. Our electronic leak detection equipment will provide a fast and accurate assessment. What if my old vinyl pool liner needs repair? Vinyl pool repair, liner patching or replacement are not DIY jobs! 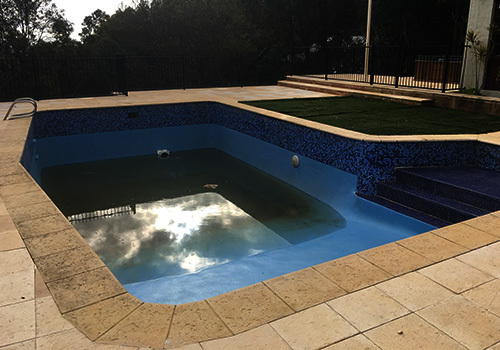 If your pool liner has been damaged by a sharp object, or has just suffered from general wear and tear over many years, you will need to contact an expert to assess the damage and undertake a professional vinyl pool repair or liner replacement. For a free quote, contact our team.